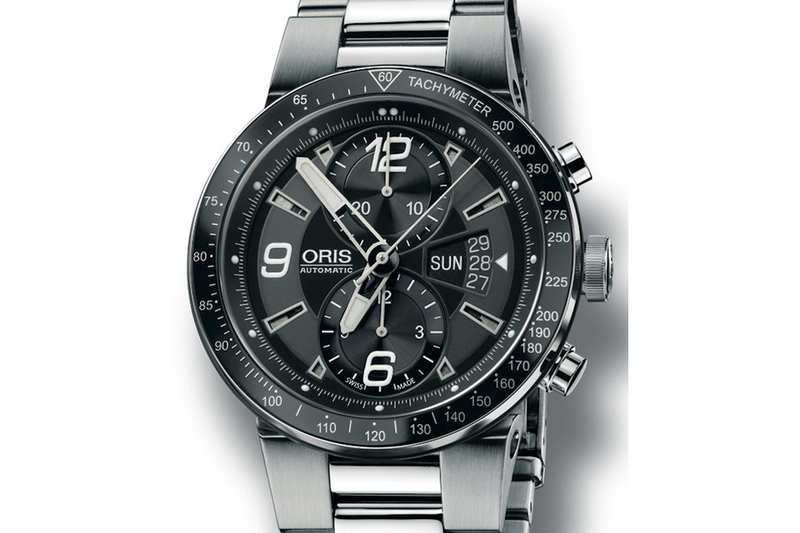 Oris a new edition of the F1 Team Chronograph at Baselworld 2008. 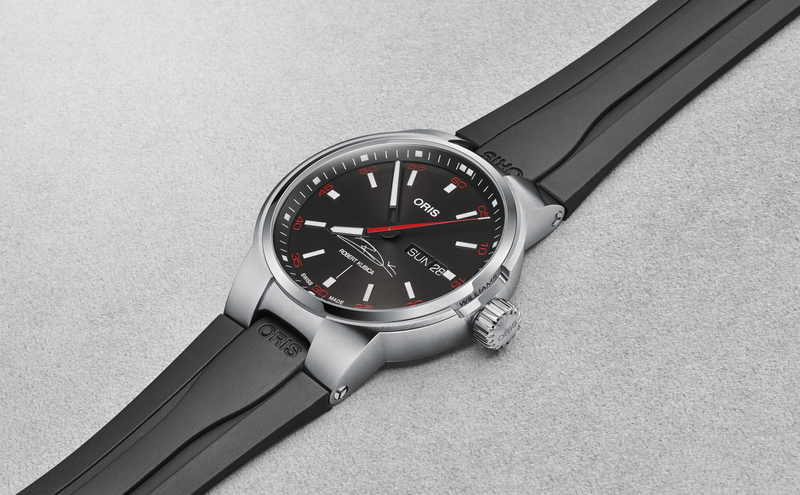 It has the same case dimensions 45 mm x 14 mm as the outgoing model, but the new case is made of 316L stainless steel as opposed to titanium. The rubber bracelet appears to be unchanged, however the metal bracelet has been reshaped for a much cleaner look. The dial was changed from carbon fiber to a black/rhodium finish. The F1 Team chronograph comes in four variations, with your choice of either a light or dark dial and a rubber strap or steel bracelet (the dark dial is pictured). 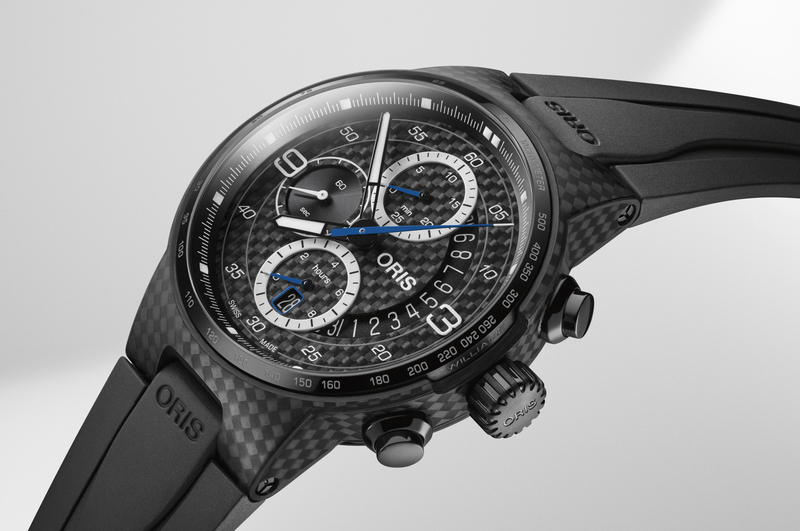 The new Oris William F1 Team Chronographs Ref. 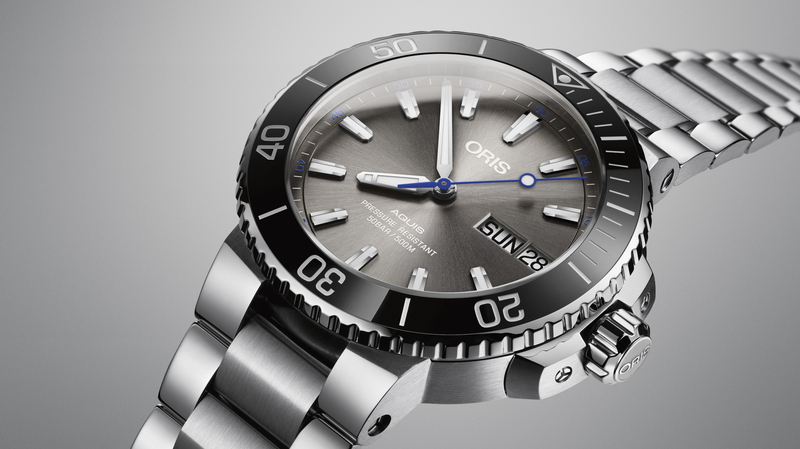 679 7614 41 64/74 RS should be available worldwide, $2895 (rubber strap) and $2950 USD MSRP (steel bracelet).